LEMON is a scientific pipeline, written in Python, that determines the changes in the brightness of astronomical objects over time and compiles their measurements into light curves. The aim of this program is to make it possible to completely reduce thousands of FITS images of time series in a matter of only a few hours, requiring minimal user interaction. LEMON aims at taking most of the burden out of the astronomer, working out of the box with any set of images that conform to the FITS standard. In most scenarios, the above four commands are enough to generate the high-precision light curves of all your astronomical objects. 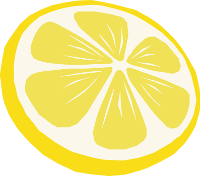 LEMON is an astronomical pipeline for automated time-series reduction and analysis. Input your FITS images and obtain the light curve of each object — it's almost as simple as that. © Copyright 2017 Víctor Terrón.